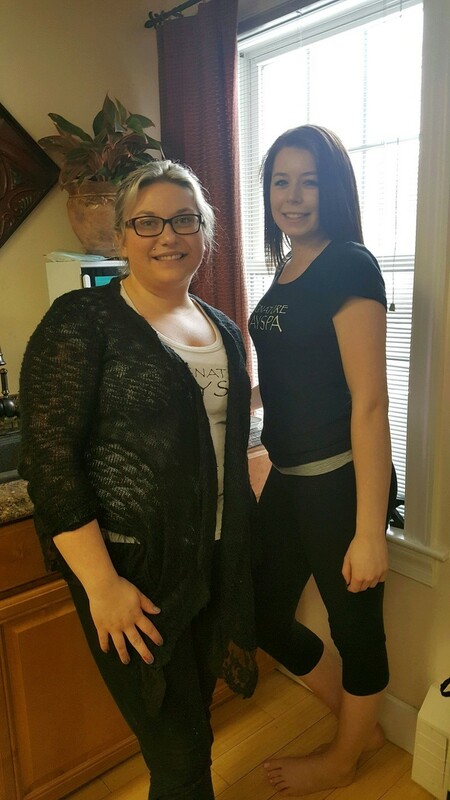 Ashleigh Disorda and Hope Tupper, both Nail Technicians at the spa, are currently going through a six month 'Advance Your Skills Program' being offered by Spa Owner, Deanna McGinness. Training from within has been a key part of the success of the spa. Spring Classes available. Call A Signature Day Spa for more information. Deanna McGinness, Felicia West, Ashleigh Disorda, and Rebecca West were happy to offer chair massages in downtown Rutland at The Vermont Great 2-4-6-8k Run, Walk, Relay to benefit Foley Cancer Center. Chair Massages at RRMC Wellness Day. Members of our Massage Team went to the Rutland Regional Medical Center’s ‘Wellness Day' and offered complimentary chair massage to staff members. The event was a success raising awareness on Well Being of the staff. Attending were: Brook Kenyon, Ann Margeret McKillop, Jess LaBow and Deanna McGinness. Our Massage Team has been gathering for a series of workshops where our team is building our Eastern Massage techniques. Our success with Cupping, Warm Bamboo Massage and Trigger Point Therapy keeps us looking for new techniques to better serve the needs of our clients. We are so excited about Gua Sha, a traditional Chinese medical treatment in which the skin is scraped to produce light bruising. We believe Gua Sha releases unhealthy elements from injured areas and stimulates blood flow and healing. The guiding principle behind Gua Sha is that this technique has the ability to break up stagnation, to promote the smooth flow of blood in the area, thereby relieving pain. A Signature Day Spa has been ranked the #6 Day Spa in New England and #1 Day Spa in Vermont by Trip Advisor. Rankings come as a result of on line reviews from satisfied customers. Our team is so honored by this ranking, people coming to the area look at these reviews and often choose our spa. Our goal is to make a difference in the lives we touch, if we made a difference for you, please let others know with your review.